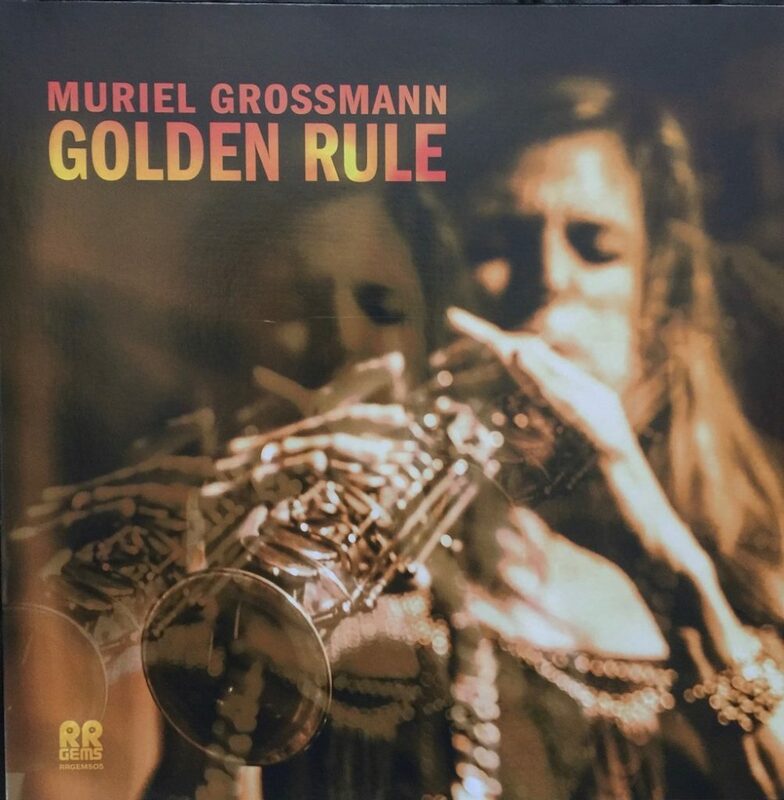 There is something very alluring about the sounds Muriel Grossmann evokes on Golden Rule, her latest album, the first she has released on vinyl, and the third in a trilogy with a band consisting of Gina Schwarz on bass, Uros Stamenkovic on drums, and Radomir Milojkovic on guitar. 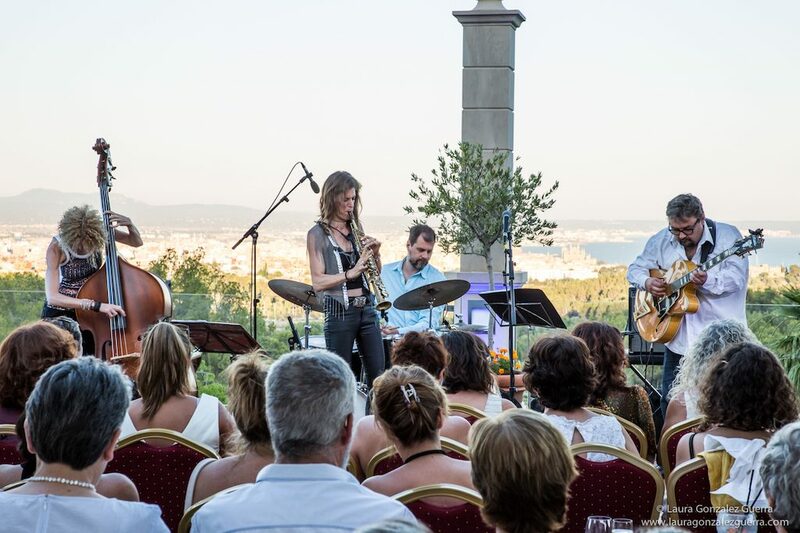 Grossmann, born in Paris but living in Ibiza, has been able to capture the melodic style of, say, a Lester Young with the more ethereal sounds of Coltrane, who is often credited as an originator of the “spiritual jazz” movement. What you hear is a muscular tenor sound that is not sentimental but never strays so far from the themes that Grossmann is developing that it wanders into aimless noodling. This strikes the balance in a way that is both immediately accessible to listeners who may be put off by “free jazz” but is not locked into a straightjacket of more traditional, straight-ahead stylizations and songs. In this way, Grossmann can capture the listener and lead them through passages that flow effortlessly. Recorded at Dreamlandrecords Studios, Grossmann’s home studio, mixed and mastered by L. Henry Sarmiento II at his Sonic Vista Studios (sonicvistastudios.com) on Ibiza, you get the sense that this Mediterranean island off the coast of Spain, with its sun splashed vistas of ocean and mountains, itself played a role in influencing the sound and shape of Muriel Grossman’s work: there is great beauty here, and a mix of cultural influences that, like the island, lend a unique feel to the proceedings. The sonics are pretty much beyond reproach- the surfaces on my copy were dead quiet and the portrayal of space, the sparkle of percussion and the dynamics of the horn and drums, combined with the intricate filigree of Milojkovic’s guitar (described in the liner notes as “pointillistic”) and well played bass, offer a feast of texture, punch, tonal color and contrast; the performances and compositions are delivered against quiet backgrounds and a wide stage that are an ideal foundation for listener involvement. You aren’t distracted by the medium, which is about the best that can be said of any record. The album, consisting of seven tracks spread over four sides, begins on Side One with the track “Golden Rule,” which starts with an Eastern motif on the upper registers of a soprano sax with percussion, a sort of upbeat, joyous sound that wraps itself around a musical phrase that provides plenty of room for improvisation. The effect is most striking when the performance becomes more spare; the guitar work echoes the horn part in fast runs and quick, intricate picking. When the horn returns, at a lower register, the guitar signs off and the cymbal taps keep pace. The piece sets the tone for the rest of the album. It’s a mellow, almost mystical introduction. “Core” is the one you’ll probably turn to as a “demo” track—the muscularity of the horn, percussive splashes and bass interplay predominate with a great signature phrase that begs for the volume control. There is flute and piano low in the mix that you hear at the end of the piece, along with “drone guitars”. Side Two consists of two tracks: “Promise” strikes a bold line with the horn that flares upscale and descends in minor notes. Grossmann has a great sound here—rich but not too lush or romantic, and the guitar parts are subtle, lacing through the background, with a break out about half way through. 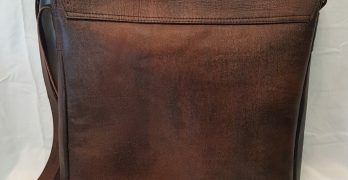 Then there is a chime-y struck note passage that defines the path as horn and guitar wrap around this motif to finish. 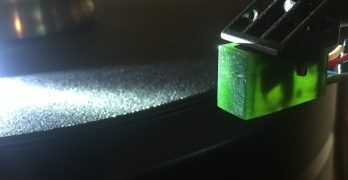 It’s a really nice piece. “Direction” starts with a bass line and brushes on the snare, horn low keyed and dark, but each phrase turns upward rather than descending into minor notes—there’s a very easy, slow pace to this track that is mesmerizing and allows for a gradual unwinding of the horn part. The guitar is strummed and played as a rhythm instrument (though Milojkovic manages to add those little filigreed accents of his). The bass sounds great here—plucked, but not so closely mic’d that it becomes hyper-real. It sounds more like what a bass sounds like in a real space. Side Three is devoted to a single track, “Traneing In” which begins with an xylophone interplay, hints and murmurs of what sound like flute, harplike sounds (which I’m told were achieved on the piano and guitars) and other instruments as the guitar stakes out an almost psychedelic opening (with assorted squawking sounds) that quickly transforms into a delicate strum, plucked note, then a riff sets up for the horn and other instruments to grab. The various influences (Eastern, African, Western) abound here—this is like a melting pot of music that is defined by tone, harmonics and a sort of inner symmetry that makes melody almost unnecessary; it’s there, but it’s secondary to the feeling of the thing. The band really works well together – you can hear it in what may seem like the exploration of uncharted territory, but they are all playing off one another without any sense of missed notes or opportunities. It just gels in some unexpected ways—the flourish on the soprano horn that summons a faster beat; an almost conventional set of jazz riffs on the guitar; the bass, foundational, playing against the grain, but staying within the frame and never calling attention to itself. Then, drum solo! Wood sticks, rims, lot’s of clattering noises and strikes rather than rumbling away on the skin and body of the drums. When the band comes back in, it’s full throttle. Side Four completes the set with “Trane” and “Light.” The first has the horn taking flight around a simple phrase that centers things, hitting some nice harmonic tones and flourishes; drums, bass, horn and guitar then switch direction in unison and embark on an excursion that has some lovely riffs that are familiar sounding—rather than a conventional player going wild, you have a more adventurous player following a recognizable, and less free form set of sounds, and it is gorgeous. I mean worth the price of admission gorgeous. 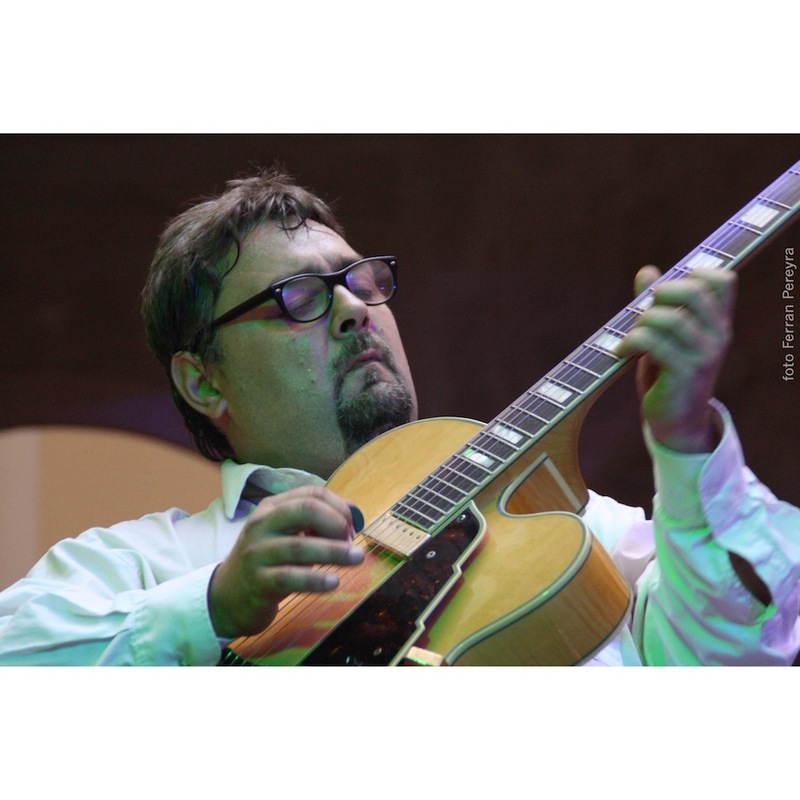 Even the guitar parts have that mellow, muted jazzy tone that you’ve heard a million times, but with the intricate weave that seems so characteristic of Radomir Milojkovic’s playing. The unsung heroes of this band are the drummer and bass player- keeping the beat, staying within the lines and almost never calling attention to themselves. The horn grabs another refrain and off we go, cascading down to the end. Fabulous track. The struck drum on “Light” is big, deep and dynamic. There’s a susurration of instruments out of which the soprano sax takes lead lines, and the bass drums and guitar follow, but it all descends back into a murmur again, for the next ascent—some cool trills on that soprano horn that mark its upper reach on the scale. This is like listening to the sound of light, both in the sense of illumination and in its delicate aspect. A wonderful, fully accessible exploration of a theme. TVP:How is this album a culmination of the two, Natural Time and Momentum, which preceded it? MG: I wanted to move my music in a more rhythm-orientated direction; I had specific ideas that I wanted to elaborate over. With the record ‘Earth Tones’ (2015, DR 07 CD) I had reached the essence of what I wanted to do with multidirectional rhythms, melodic freedom and multi harmonic devices, it was time for something new altogether. I composed different programs in this exact sequence: ‘Natural Time’, ‘Momentum’, ‘Golden Rule’. I wanted to have the opportunity to develop specific material over a longer period of time and see how this material would be affected in the context of performance. I took some time to find the right musicians and when I found them, I knew that it would be for the long run. Each of these records are addressing certain aspects of the music as a whole, that I wanted to investigate, power bass lines, open harmonic structures and melodies that could be sung, remembered. ‘Natural Time’ (2016, DR 08 CD) as the first album of this Quartet is a very calm beautiful album, where the band was exploring first time this new language together. It has some very interesting compositions that capture that vision, especially on the composition ‘Peace For All’ and ‘Happiness’. Over those three albums I could develop the sonority of the drone instruments (background orchestra under the quartet), varying in instruments and harmonically. 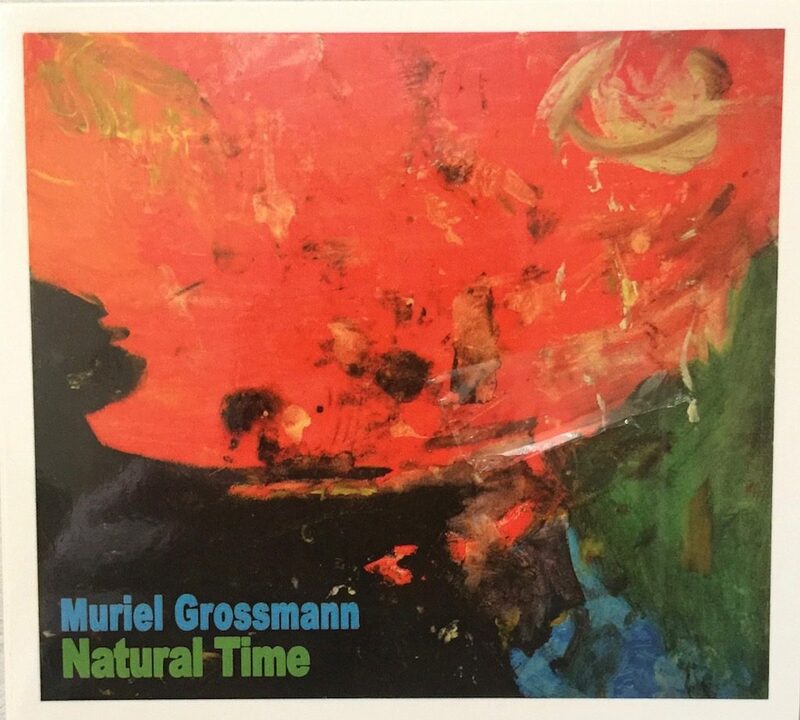 In ‘Natural Time‘ I used more instruments from India, in ‘Momentum’ (2017, DR 08 CD) there is a big emphasis on upright basses making harmonies in the back. In ‘Golden Rule,’ Marimba and Kalimba and Horns take a bigger part. The record ‘Momentum’ is important because it deepens the idea, especially in the composition ‘Sacred’. It is a very energetic record. And the record ‘Golden Rule’ is just an apotheosis of what I wanted to do with this music. After I’ve made these programs I continued to compose new ones, the concept was becoming clearer, so hopefully the listeners will be able to hear the next album soon. TVP: How long were the sessions that make up this recording? Were they spread over time with multiple “takes” or did you lay it down in a few days? MG: We recorded mostly weekends over a period of the summer months until I got the performance I wanted. It is a great luxury to be able to have so much time; it allows you to really develop a language together. We are playing a lot in the summer months so it is actually nice to go to that quiet place just with the band and work on music. I didn’t want the music to be to busy, I wanted it to be played energetic, with fire, dedicated, and with a strong focus on the groove. We reached a beautiful balance between energy and reflection. TVP: In our correspondence, you said you usually record at home and then go to the studio to mix. 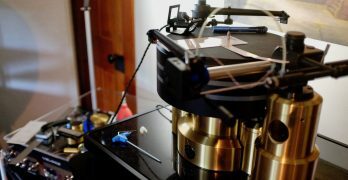 Can you describe the recording set up used for Golden Rule? MG: My home studio has various possibilities but we mostly just use one room and record together using sound absorbers to prevent too much sound feed. We are quite old fashioned with that, believing it is the good music that reaches to the inner ear of the listener. 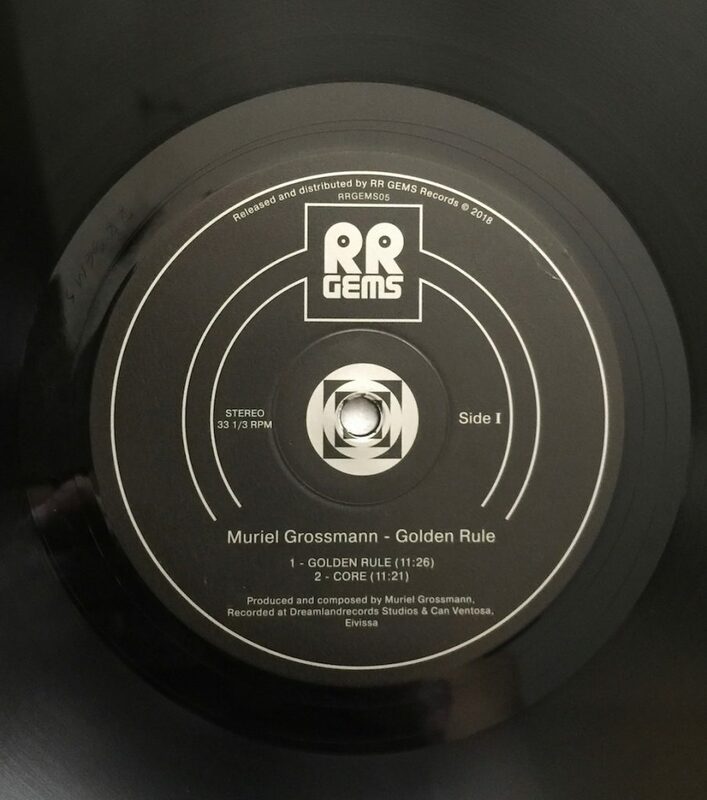 ‘Golden Rule’ was not any different from ‘Natural Time’ and ‘Momentum’ in terms of recording. We always play some of the tunes that we want to record on the concerts to try them out to see how they feel. The compositions ‘Golden Rule’ and ‘Core’ were part of our live set, so the group was very confident in the terms of how they should sound. Some tunes we don’t play at all before the recording session, so we have that fresh territory kind of feeling present as well. TVP: Tell us about your approach to composition. The tracks have a freedom and looseness typical of improvisation but there are clear themes, and nothing seems to stray too far from those. MG: Yes, you explained it beautifully. Freedom and looseness cannot be separated from jazz, like blues, swing or gospel; it is all this that I resonate very much with. My approach to composing is always different. It depends on the subject matter and the vision. I used to write a lot of standard like tunes, on familiar chord changes, or just used the piano, or just the saxophone, or composed directly on paper. When I first met Joachim Kühn I wrote a lot in the augmented-diminished system. For the records ‘Natural Time’, ‘Momentum’ and ‘Golden Rule’ I wanted the music to be rooted in groove with all kinds of rhythms, so I would naturally start from the bass lines, then put some chords, then the melody for the saxophone. Mostly I use reflective meditation on an issue that is important to me. For example, on “Golden Rule,” I reflected on how the world would look for me and others if things were the way we wished for; that gets me to a point of mental clarity that I then try to put it into a musical language. It is this explorative meditative journey which I try to express in composing. Then when the band plays it together we explore its sonority. The theme transmits the essence of the point of contemplation and therefore I like to stay close to it in the improvisations. At the same time I enjoy the looseness because it gives the band members a possibility to shine through their extensive exploration and like that we can all together represent the song from its best side. TVP: The noted jazz pianist Joachim Kuhn: you’ve studied with him and recorded with him as well. Can you tell us how that experience has influenced your playing and composing? MG: Joachim Kühn is an incredible artist, somebody who played and recorded with a vast amount of the great musicians, and if he didn’t play with them he met them on concerts or in studios. He lives on Ibiza and I met him in the first year I came to live here in 2003 and had the privilege to play on numerous sessions and record with him; those sessions were a very powerful revelation, an extraordinary experience, I learned a lot from those happenings; but I also had the wonderful possibility to be at his home seeing his compositions on paper, talking and listening to music together. I was able to get an insight into how he composes, what tonal material he uses, hearing his recordings from raw to finished album, getting to know his musical life; he has an incredible memory and his stories are fantastic. We also share the same passion for John Coltrane and his legacy. The experience and knowledge that he transmitted was and is very important. He was my gateway to get closer to all this great musicians, their music and jazz history that surrounds them. Among others he played and made a record with Ornette Coleman, so I was able to look and study some of Ornette’s scores. I also had the chance to play with a few of the musicians that Joachim or his brother Rolf Kühn, the great clarinet player, played with, like Christian Lillinger, Robert Landfermann, Johannes Fink, Wolfgang Reisinger. TVP:Can you tell readers about how the themes you are exploring on Golden Rulealbum are developed and evolve in each track? MG: ‘Golden Rule’ same as ‘Natural Time,’ ‘Momentum’ and ‘Earth Tones’ has a lot to do with John Coltrane. He is my main inspiration, so somehow a lot of the music that I play and compose has to do with John, although it might not be obvious at first listening. ‘Golden Rule’ is the prime example for that; the whole record is one big thank you to all that he left us. Besides Louis Armstrong and Charlie Parker, John Coltrane is the ‘beacon that is steering me off the rocks,’ I am forever grateful to John Coltrane. 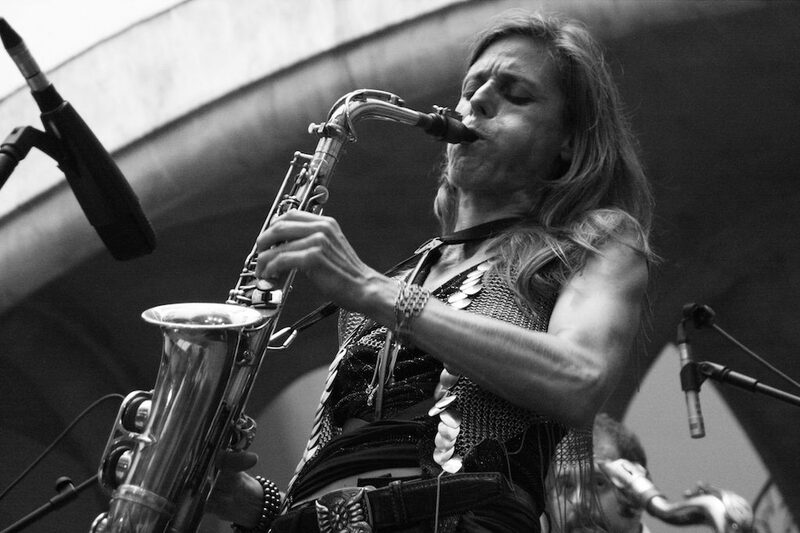 Beside music and saxophone I like to think that I have one more thing in common with John Coltrane and that is the spiritual aspect in life and a deep concern for this planet and humanity. The first song on the album is the title song, ‘Golden Rule,’ which names an agreement based on a basic principle of reciprocity that I realized as the basis of a happy state of mind. Living by this rule would turn humanity into the compassionate race that it by nature is. I started with the bass line, then the guitar pattern that supports a polyrhythmic structure. 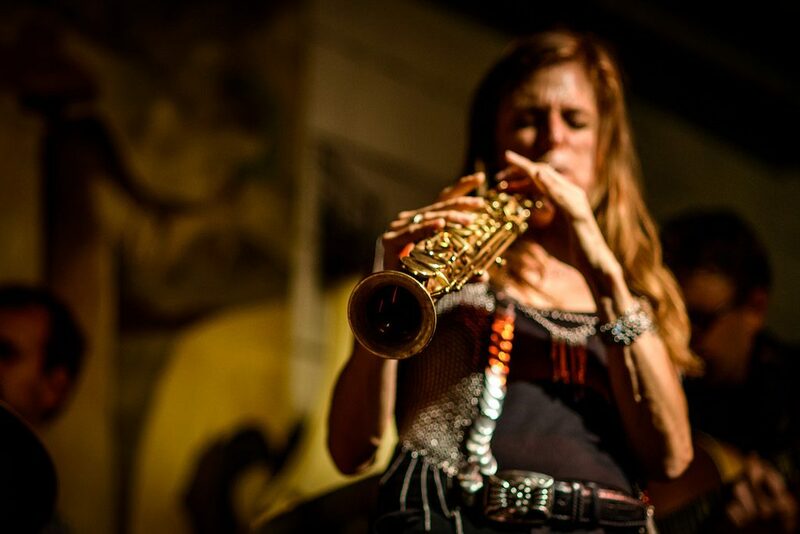 Soprano saxophone is an instrument that really resonates with me. ‘Core’ has evolved from the bass line; I searched for an uneven majestic line that would give lot of possibility for eight like rhythm. 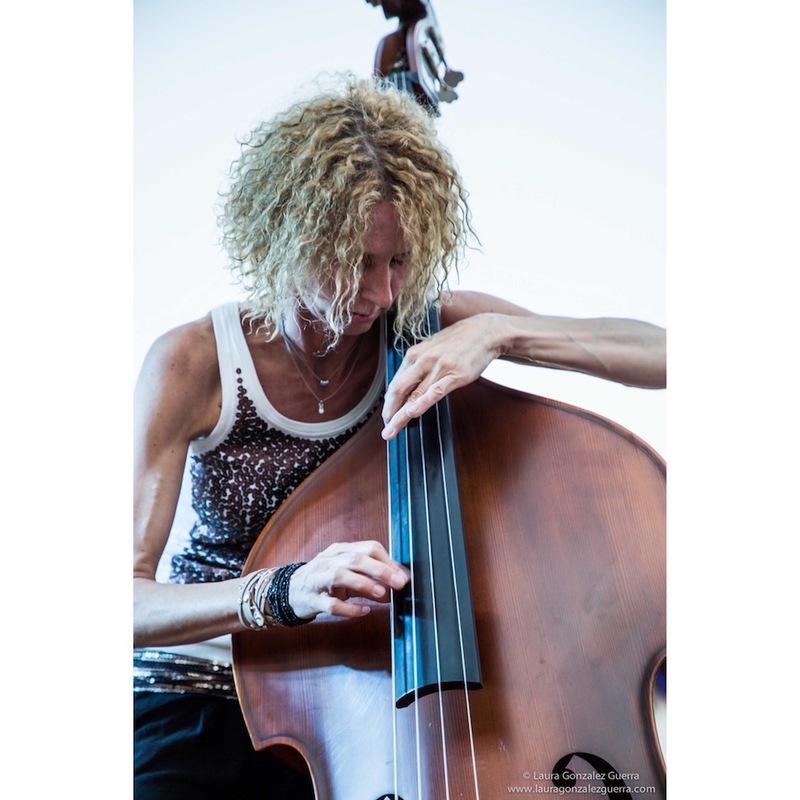 Gina is a great bass player. Her ability to groove throughout an extended song is amazing. I also love the interplay between Uros and her. Both are energetic players and go for the strong swing feel. ‘Core’ is a vigorous song with a hymn-like theme. I love when after the first calmer part of my solo Radomir gets into that funk like groove. I wanted that this song moves to an even stronger drive, a little bit of James Brown, (he he) …. ‘Promise’ is a song with a delightful tempo and space, the drone instruments can be heard really well here. 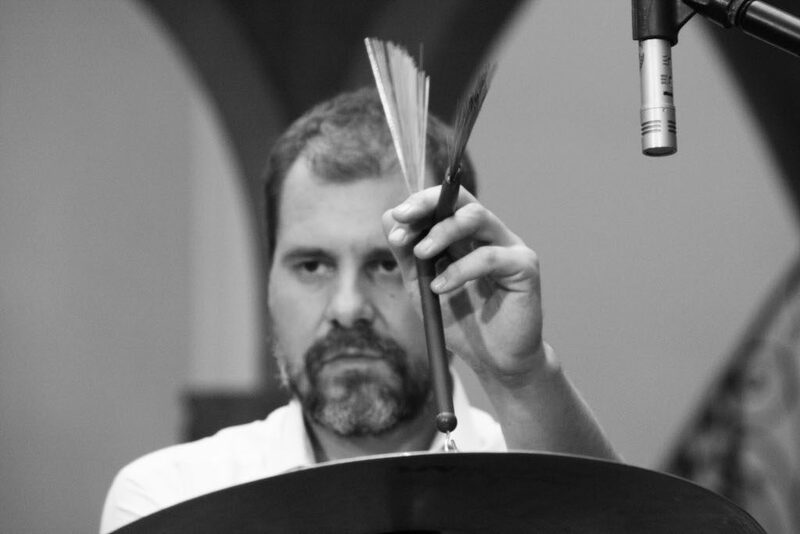 Henry Sarmiento is a wonderful sound engineer with golden ears, he can mix any type of music live or studio, he always searches to reveal the essence of the music in the most natural way. “Direction” expresses the even deeper possibility of meditative bliss, when we go deeper into understanding and then realize that enlightenment or the way to wisdom is really a gradual journey, a journey that can only be taken with the intention of benefiting others. This piece evolved also around the baseline. The groove for me is a strong vehicle. In this quiet song we left space for Gina to embark on a beautiful determined journey over the harmonies of the drone instruments. If you hear this album more often you will find a lot of instruments in the background. We call them ‘drones’ because they are droning, like a tambura would give the sonic field for a tabla or a sitar to elate. For ‘Traneing In’ I decided to make an Intro that would provide a sound journey until that guitar riff starts, upon which the song was composed. You described it beautifully. It is really a mix of so many traditional influences. The Kalimba suggests central or southern African as its origin and the trancelike song could give a clue, that I heard a lot of GNAWA music, but of course it’s again just my interpretation of a lot of music I have heard, again the biggest for sure Coltrane. I wanted to express a wide terrain, like going on a journey. Hearing ‘Trane’ intro is a very satisfying experience for me, I hope that it is also for the listeners. Yes, I overdubbed a lot of horns for it. Again in ‘Trane’ I was composing the bass line, then the theme and guitar chords. ‘Light’ is the conclusion of where our journey will lead living a life developing our virtues. It is always a special gratification to develop these closing songs of the record. I think of a tonal center for the message and evolve the theme around it on a rubato (without rhythm) that is composed by a lot of instruments and gives a vast field of interplay. For this song Radomir overdubbed a lot of acoustic guitars and we decided to let them lead the album into silent space. I hope that this music can be heard by a lot of people and a lot of listeners will benefit from it. 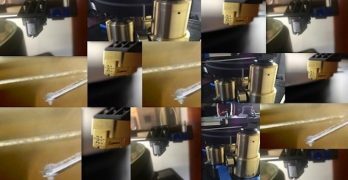 TVP:This was your first album to be released on vinyl…. MG: Yes, and it is wonderful. 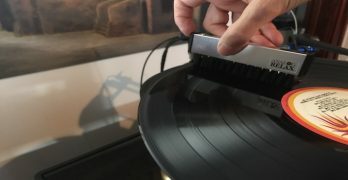 The sound is fantastic, and the label, RR Gems, has done such a good job with this record, they really helped us capture our sound. We hope this will also reach a wider audience of listeners. TVP:You’ve been playing with this band for quite a while now, touring. Have you been to the States? Are there any plans for you to appear here at a festival? MG: This band played a lot of concerts and tours together, I am very grateful for this. Radomir and I have been working together for a long time, a really long fruitful period, we have a very strong musical bond, something very difficult to find. He always is supporting my output in such wise way, you could say we have an identical musical taste; we have practically evolved all my music together and are complementing each other so well, that there is really a vast field to explore. Uros and Gina, they understand my music and they are putting themselves completely in the function of it. We have never had the opportunity to play in the USA but would very much like to come over. America was and is a place where a lot of great music is coming from with equally great audience. My whole life I was connected to American music so it would be wonderful to play there. 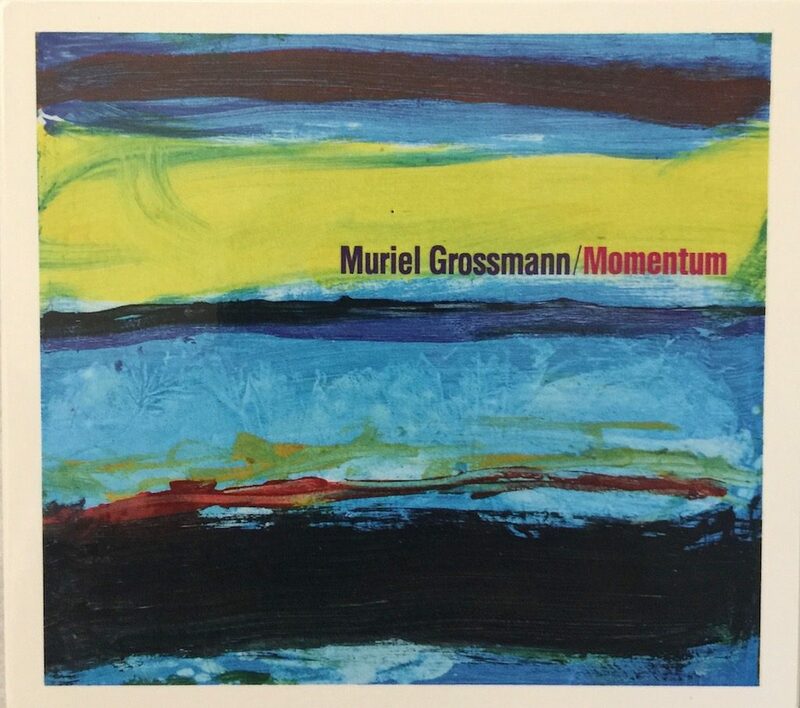 Readers can find the record on the Muriel Grossmann website (murielgrossmann.com) her label’s site, RR Gems (rrgemsrecords.com) or through other online retailers (murielgrossmann.bandcamp.com) Ms. Grossmann’s work is constantly evolving, and she promises several albums in the future—a talent to watch and follow. Recommended, particularly for listeners who are ready explore sounds beyond straight ahead jazz or those comfortable with more esoteric jazz sounds.